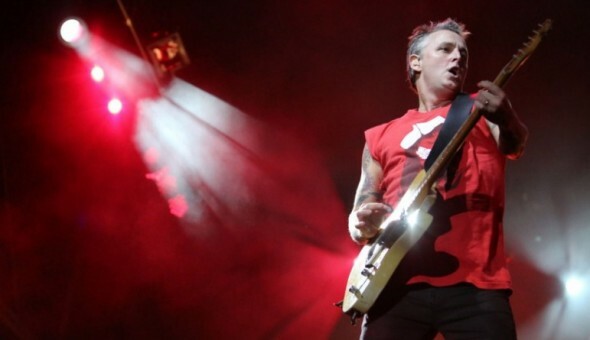 Pearl Jam guitarist Mike McCready is a serious 12. Before Super Bowl Sunday, he will start the weekend rocking with the Seattle Symphony Orchestra. Pearl Jam guitarists Mike McCready and Stone Gossard sat next to each other, each battling their emotions and reaching different conclusions as they watched the NFC championship game wind down two weeks ago at McCready’s house. Add to the long list of unlikely things that happened on that historic Sunday this fact: Stone Gossard channeled his inner Yogi Berra and somehow was right. When the Seahawks completed their greatest comeback, pandemonium reigned at McCready’s abode. Just another Seattle fan awash in the giddy, palms-up, shoulder-shrugging madness after the Seahawks won. He was sitting in a break room at Pearl Jam’s offices preparing for Friday night’s Sonic Evolution concert with the Seattle Symphony Orchestra that will feature the music of the short-lived Seattle super group Mad Season. Before breaking to talk about the Seahawks, he was polishing up a piece he’s written for the night called “Walking the Horizon,” a beautiful combination of guitar and orchestra that he admits he’s over-rehearsing. While not quite as improbable as Seattle’s victory, there’s a little bit of a ‘How did this happen?’ feel to Friday night’s concert. The album that spawned the idea was a one-time collaboration between McCready, drummer Barrett Martin (then of Screaming Trees, now of Walking Papers), former Alice in Chains lead singer Layne Staley and bassist John Baker Saunders. The group’s lone album, “Above,” was released 20 years ago in March to critical and commercial success. Further collaborations were planned but never materialized due in part to the battles by Saunders and Staley with drug addiction. Both died of overdoses, Saunders in 1999 and Staley three years later. That adds an element of sadness to the entire story, a feeling exacerbated for McCready by the fact that he formed the band 20 years ago after coming out of drug and alcohol rehab himself. He did it, in part, in a sincere but misguided attempt to help both Saunders and Staley beat their addictions. How then, does such an eclectic project, one where half the members are now gone, end up featured in a concert at Benaroya Hall? McCready has worked on occasion with Seattle Symphony conductor Ludovic Morlot and the two have become friends. McCready says that in the back of his mind he always wondered what “Above” might sound like with a full orchestra treatment. Morlot liked the idea. Friday night, nearly 20 years after “Above” was released, it will come back to life. In addition to the symphony, McCready and Martin will be joined by an all-star cast of Seattle musicians who will help, including Soundgarden singer Chris Cornell, Walking Papers and Guns N Roses bassist Duff McKagan, and Soundgarden and Pearl Jam drummer Matt Cameron. The concert was announced in December and quickly sold out. McCready is thrilled that there’s this much interest in this music two decades after the fact. McCready will be a little closer to home for this year’s Super Bowl than he was a year ago. He’ll be at his home (perhaps with Gossard as a guest). Last year at this time, he and his Pearl Jam band mates had wrapped up a two week tour of Australia. As luck would have it, they were on a flight scheduled to depart about the same time the game kicked off. But fate intervened with a fortuitous flight delay, long enough that the band members retreated to a lounge to watch the entire game. McCready thinks that the Super Bowl win caused a permanent change in how Seattle fans think. He smiledand knocked on wood when asked if he feels the concert, at least for people who are fans of both Seattle music and the Seahawks, can act as a sort of unofficial kickoff to a weekend of celebration. Pearl Jam needs to be the halftime show at next years NFC Championship game. Be a nice way to send off the team to San Francisco/Santa Clara for Super Bowl 50.